What's The Difference Between Spring Types? Not sure what a torsion spring is compared to an extension? We're here to explain it! They both work similarly in function, as they both power your door's movement by creating tension that translates to stored energy. However, extension springs do this by stretching out, whereas torsion achieves this by twisting up to store the energy. This may not seem like much of a difference, but professionals do prefer torsion springs because they tend to last far longer and are safer as well. Extensions wear down more quickly from being pulled to their limit frequently, and when they break they usually snap and go flying to potentially cause damage. 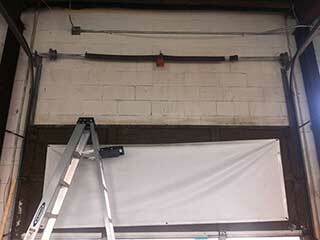 Your garage door's springs are what help move the weight of your garage door, which is heavier than you might realize. That's why it becomes fairly obvious if there's an issue with them, such as your door opening part of the way then getting stuck. If this is the case, our professionals will be able to get whichever type of spring you have replaced in no time! Attempting to do so yourself is dangerous because of both the springs themselves as well the fact they're holding the weight of your door, so allowing a technician to take care of it is far safer and easier. We'll get it all taken care of quickly so you can get back to your busy schedule right away! The issue may not be a broken spring at all, but rather one that just needs some tending to! Our experts can handle adjusting them to get things working properly again in no time at all. We will also make sure to properly lubricate the springs for smoother operation. Call Garage Door Repair Cedar Hill now and we'll get your door like new again!